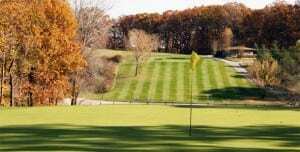 Balmoral Woods Golf Club provides some superb golfing in Crete, Illinois. This little area boasts a fantastic golf course complete with a pro shop. Whatever your needs the pro shop has you covered. The Balmoral Woods Golf Club is tough but still offers fun to everyone. Even the tough courses offer relaxation as you enjoy the outdoors. This is a sport that men, women and children can play and have a great time. You may choose to walk the course or you may prefer a golf cart to take you over the hills and slopes that abound on this course. There is water and bunkers to watch for. Some of the holes are tough and will test your skill so be ready! The Balmoral Woods Golf Club offers all of this plus more. You can take advantage of the weekly rates or go on weekends. There are even fall rates for you to enjoy. Take a day and go golfing. Take some friends with you and have an outdoor outing where you actually have something to do. Who is the best golfer in your group? Find out by going out on foursomes or just go alone. Regardless of how you want to play, alone or with others, it is sure to be a great time.